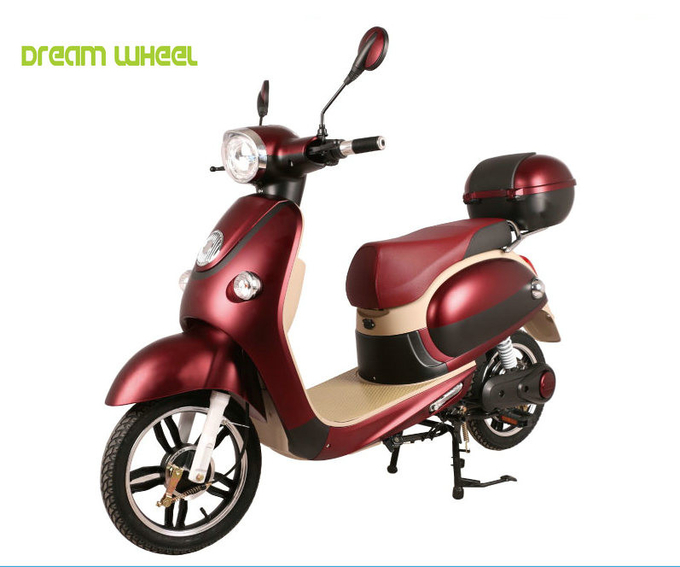 The HP-XGW Vespa Cruiser electric bicycle is loaded with great features, yet the HP-XGW Cruiser electric bicycle - Moped costs 75% less. And this Cruiser Elite Electric bicycle, is the highest capacity battery power unit we offer with 48V/20 AMP batteries & brushless 500 watts rear hub motor. For your convenience, the pedals are included free but do not need to be installed. The HP-XGW is classified as a power assisted bicycle and is therefore legal mostly everywhere with no license required to ride. The power of the Cruiser electric bicycle comes standard with a large 500 watt brushless rear hub motor (installed in the center of the rear wheel) that is powered by 4 large high power batteries (20 AMPS each battery - The Largest Battery currently offered) that will last 3 years or more & can be re-charged more than 500 times. The electric bicycle will travel 45 – 55KM on a single charge. 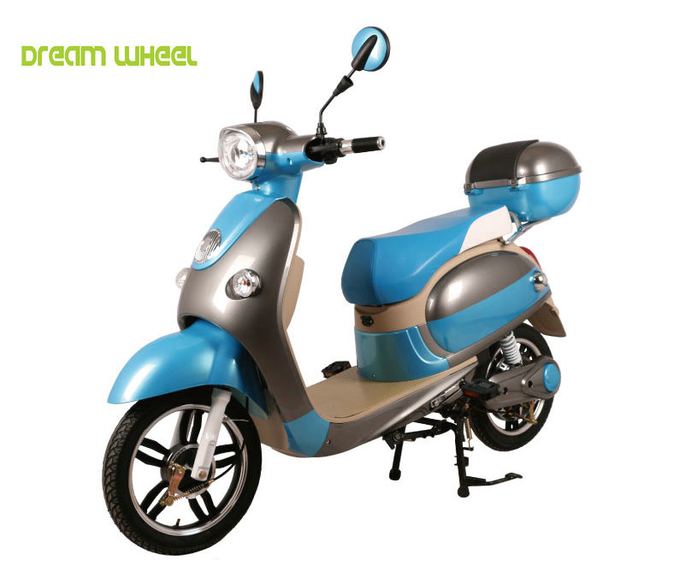 The Vespa Cruiser is a great tool for commuters or those working on large campuses. -USB charger port, can charge your smart phone any time on the way. 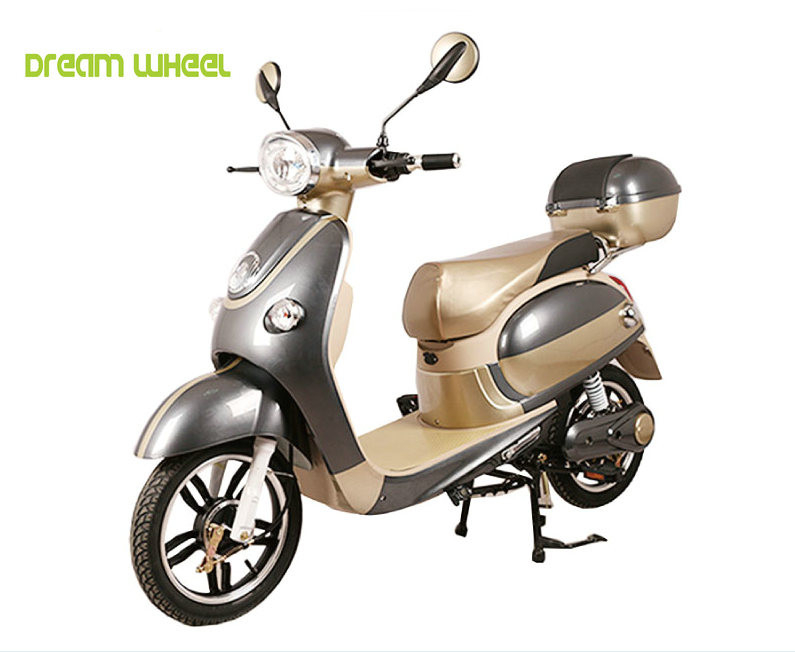 -Remote alarm system and keyless start system, make the scooter more safe and easier to operate.